The Law Office of Jared A. Rose helps truck accident victims in Kansas and Missouri. If you’ve been injured in an accident with a truck, then you should contact a lawyer to help you sort out the aftermath. Trucks are usually a lot bigger than cars, so even a low-speed accident with a truck can cause serious injuries. If you were in a serious truck accident then you should definitely call a lawyer. You are entitled to compensation for your pain and suffering, for your medical bills, and for any lost wages. 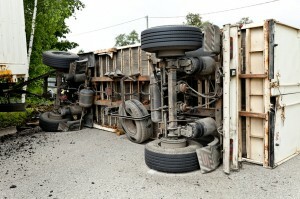 Oftentimes truck drivers are working at the time of their accident. So you won’t just be up against another driver, you’ll be up against an entire company. A lawyer can help you even the playing field and get you the compensation you deserve. Truck accidents shouldn’t be handled the same way as car accidents. Different kinds of trucks – including pickup trucks, garbage trucks, dump trucks, and semi trucks – are governed by different safety regulations. You will want a lawyer to help figure out whether the other driver was following all those safety rules when he hit you. If you were injured in Kansas or Missouri, contact the Law Office of Jared A. Rose.